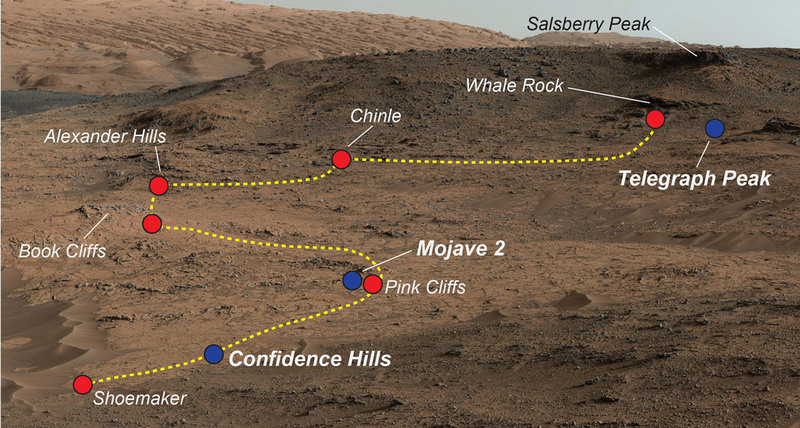 In the “Confidence Hills” and “Mojave 2″ samples, scientists found clay minerals, which generally form in the presence of liquid water with a near-neutral pH, and therefore could be good indicators of past environments that were conducive to life. The other mineral discovered here was jarosite, a salt that forms in acidic solutions. The jarosite finding indicates that there were acidic fluids at some point in time in this region.